These 21 chocolate mint desserts are to die for! You’ll want to indulge in every sweet treat with this winning combination of flavors. Did you know Chocolate Mint Day is tomorrow?! I am so excited that Chocolate Mint Day is an actual holiday. This tasty national holiday is one of my absolute favorites because I could eat chocolate mint desserts every. single. day. We currently have some chocolate mint fudge in our house, but it’s pretty close to being gone so I’ll be making one of these recipes soon for sure! I love that there are so many ways to enjoy this winning combination of flavors. 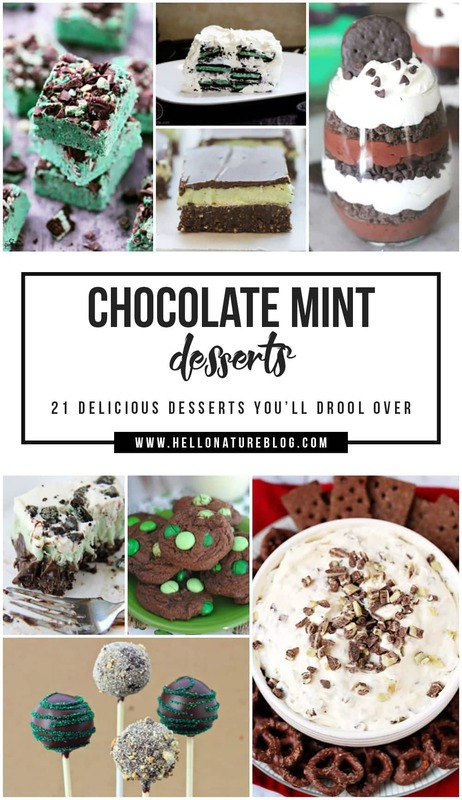 But if you’re feeling a little uninspired with what chocolate mint desserts to make, check out these drool-worthy recipes. Mint Ice Cream Oreo Tart – Home. Made. Interest. Inspired to make a delicious chocolate mint dessert now? Let me know which one is your favorite!